Mobile veterinary clinics have become increasingly popular in recent years, and many veterinarians are starting mobile practices that utilize specially outfitted vans to visit their clients. This type of service differs from traditional private practice, where pet owners bring their animals to a brick and mortar location for appointments with a veterinarian. Should you consider using the mobile veterinary clinic model for your practice? Let’s take a look at the specific advantages and disadvantages of operating a mobile veterinary practice. Low start-up and operation costs: A mobile clinic is much less expensive to open than a brick and mortar location. An article in Veterinary Practice News from 2009 cited a $250,000 startup cost for mobile clinics, much cheaper than the estimated $1,000,000 startup cost for traditional locations. Mobile practitioners also save on traditional overhead costs like rent and property taxes. The mobile vet vehicle outfitter La Boit found that the average all inclusive cost to run a mobile clinic is just $300 per day. Convenience for pet owners: Mobile clinics are an attractive service option for clients, particularly those with limited mobility due to physical issues, a lack of transportation to get to a traditional clinic location, or a pet that is difficult to transport due to size or physical infirmity. 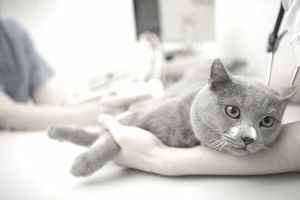 It is also convenient for those with multiple pets, as they can all be examined at the same time. Collection of additional house call fees: Mobile practitioners can easily justify charging a convenience fee for the service. This results in additional revenue for the business. Less stress for patients: The mobile option reduces stress dramatically for animals since they do not have to travel to the vet office, which can often be a traumatic event for pets. It also reduces stress on their owners. Free advertising: Advertising placed on the side of the mobile vet vehicle will draw attention from other motorists while the clinic is en route to appointments. This form of advertising is often a primary factor in customer acquisition for mobile clinics. Not limited to a single area: Mobile practitioners can go where there is demand for their services, whether that is up the street or across town. While a traditional clinic is bound to clients in a specific geographic area, a mobile clinic can travel to capitalize on demand growth in other areas. Scheduling difficulties: Scheduling clients can be difficult without the receptionist a stationary clinic would have on staff. In the mobile practice model, the vet and their vet tech must handle scheduling on top of their normal duties. Traffic and other delays: Traffic and weather issues can have a major impact on travel time. This can interfere with keeping appointments on schedule. Vets may also be delayed by chatty clients. Longer hours: Mobile vets often face longer hours than traditional practitioners due to the increased travel time associated with their business model. They may also receive many more requests for service on evenings or weekends. Limitations of the vehicle: Mobile vets don’t always have access to the full array of lab equipment that a stationary clinic would offer. They also may lack the additional assistance that would be available to deal with difficult patients in that setting. Fuel and maintenance costs: Mobile vets must be sure to factor in the costs of fuel and vehicle wear and tear when determining overall profits earned. These costs can be quite variable, particularly when gas prices in the current market are so volatile. Vehicle maintenance is also critical, as there can be no mobile clinic without the vehicle! Are There Too Many Veterinarians? Do You Want to Work in the Thoroughbred Industry?